By definition, leaders set direction and help themselves and others move forward. During periods of rapid change and transformation it becomes increasingly difficult to know what the “right direction” is. Such is the challenge in agriculture today. The market is full of specialists but is replete with a lack of general management acumen and strategic thinkers who can see the views and concerns of all stakeholders. The average consumer has never been more distant from the farm gate. Yet the consumer demands with respect to food supply have grown exponentially. There are growing concerns for safe and environmentally friendly production. Consumer preference and the high profile focus on “healthier” options coincide and clash at the same time. Animal rights concerns create an additional layer of oversight to production. “Seed value creation” and the role of bio-technology are becoming a large subset of the industry. Production practices are scrambling to catch up. Compliance and cost efficiency don’t co-exist. We would submit that there just isn’t a broad enough understanding of today’s complexities in farm management. The farm used to be mom and pop and the kids living off of the land. They only had to worry about production. Now it’s a multi-million dollar business where you need to have all the skills of a top flight general manager in finance, human resources, operations, sales and marketing, transportation and logistics and technology. The amount of agronomic data in the past decade being filtered and used in decision making has exploded. Fragmentation in data gathering has created more issues around management and ownership of this information. Decisions on what crops to grow and animals to raise are now made in the context of global trade policies like the Trans Pacific Partnership and what has been dubbed “NAFTA 2.0”. There are many opportunities here but they rely on execution throughout the value chain. Currently, government policy is being written by individuals who don’t understand the needs of, and challenges facing the farmer. There is a need to stick to science-based facts in developing a regulatory regime while properly educating the consumer. Educational institutions should focus on this in development of curriculum and provide opportunities for hands-on experience. Ag sector companies could provide opportunities for students and recent grads to experience policy development related sessions. Ag Associations could bring students and the next generation of growers into their working groups. 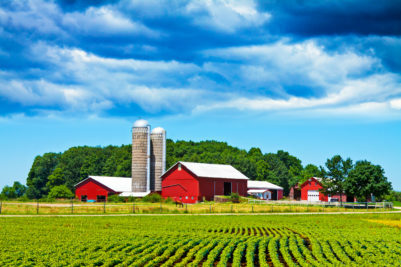 As part of a farm transition, consider urging the next generation to take on more responsibility, including possibly taking over control or management of the operation, get engaged in agricultural policy by joining an agricultural farmer organization, Board, or working group; having an advocacy plan for their farm may be as important as having an agronomy or financial plan. The bottom line is that stronger leadership amongst the trade groups and umbrella organizations to build credibility and public trust has never been more important.